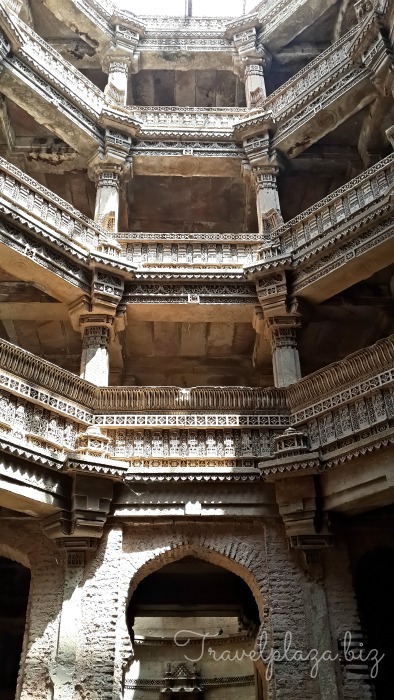 On my recent trip to Ahmedabad, I had the pleasure of visiting these gorgeous, intricately carved stepwells. Also known as baoli in the North of India and vav in Gujarati, these were used in ancient times to collect and store water especially in the arid regions of the country. The larger ones like this one also were places of social interaction, rituals and customs. 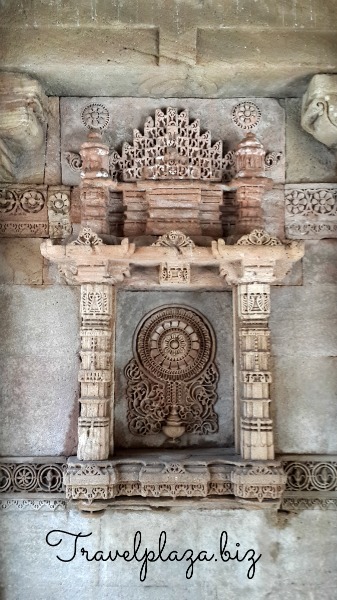 Adalaj ni vav is five stories deep and has some spectacular carving on the walls. The structure is still very beautiful but could do with some maintenance work. It is almost dry and has a very musty smell due to no upkeep. Yet, it attracts a number of visitors drawn to its beauty and architectural brilliance. 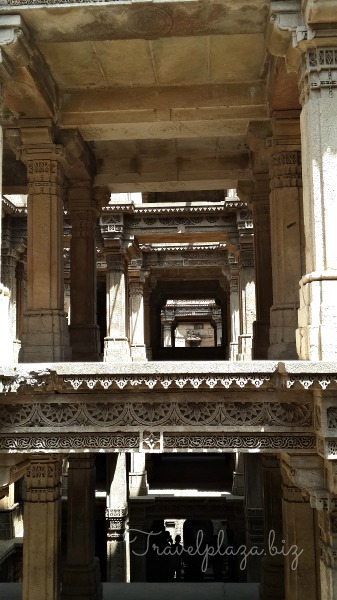 Adalaj stepwells were built in 1498. The construction work was started by Rana Veer Singh of the Vaghela dynasty. He was killed by a Muslim intruder, Mohammed Begda, of the neighborhood kingdom. The story goes that Rana Veer Singh’s widow Rani Roopba was courted by the Muslim ruler. She agreed to marry him if he completed the stepwells. The Rani committed suicide in the same stepwells after its completion. The stepwells are constructed with sandstone in Solanki architectural style as well as Muslim architectural style. The carvings are intricate and beautiful even after so many centuries. 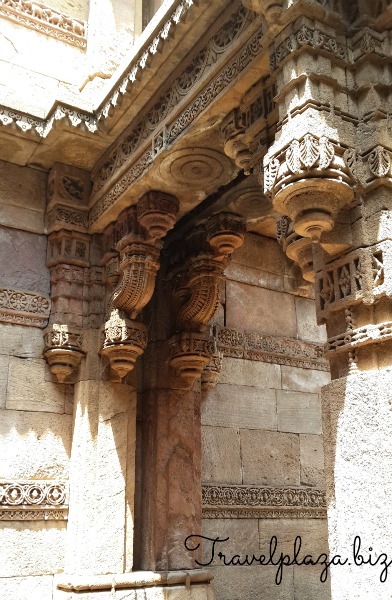 It is an octagonal structure and has a number of pillars supporting the stepwells. As you enter the stepwell, you immediately feel the temperature drop a bit. It must have been a place of attraction back in the days when the women must have come here to collect water and also to chat. Do not forget to visit this architectural delight the next time you visit Gujarat.